We have plenty of these common lizards in our yard and on occasions in our living room which seems to attract them magically. 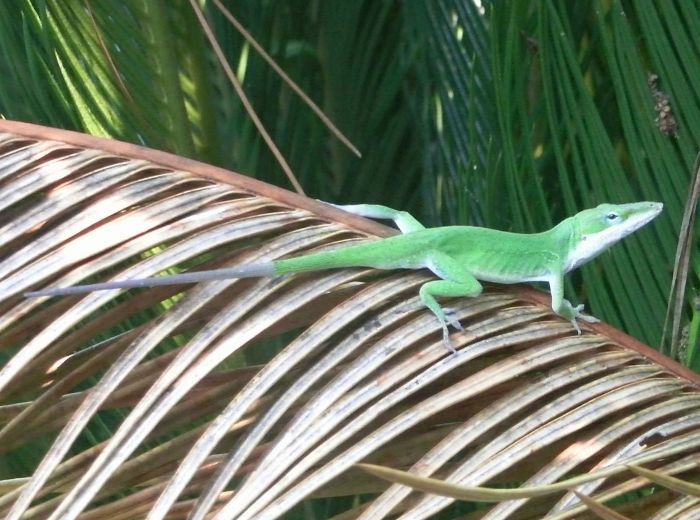 This is the green anole (Anolis carolinensis). They can drop (and regrow) their tail to evade predators. I wonder whether the darker grayish tail of the left fellow is due to such an event. They also change color to fit the situation. Brown indicates distress. They eat small insects such as moths and crickets.